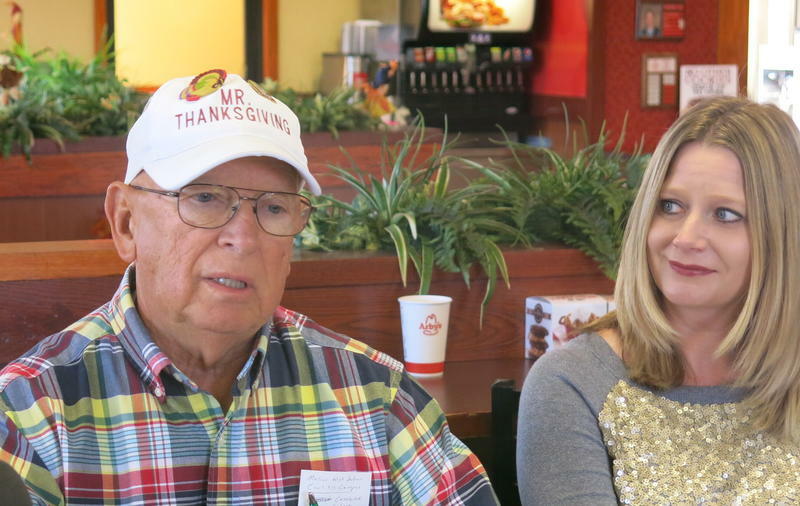 Bob Vogelbaugh, "Mr. Thanksgiving," at his press conference this morning at Arby's in Moline, IL. 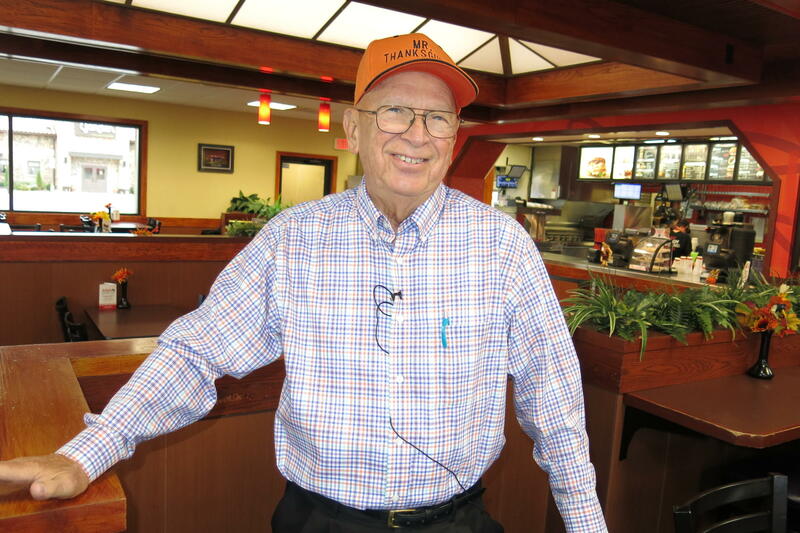 Vogelbaugh's goal is to continue organizing the "Thanksgiving Party" for two more years, until the 50th anniversary. He says last year, many people were confused and thought he wasn't going to host the dinner. That caused a drop in donations. And he hopes the public simply misunderstood and wasn't trying to send a different message. Nearly 2,500 people enjoyed last year's turkey dinner with all the trimmings. Vogelbaugh says it has never been a charity event. It's really about spending time together to enjoy fellowship and friendship. It costs around $25,000, and he accepts donations by mail at 3704 26th Street, Moline, Illinois 61265. The turkey dinner will be served on Thanksgiving Day from 4 until 6 pm, near Von Maur in South Park Mall. MetroLink will give Illinois residents free rides, but reservations are required. He'll need volunteers on Thanksgiving Day at 9 am to finish setting up tables and chairs. Those who volunteer during the meal should arrive at 3 pm. 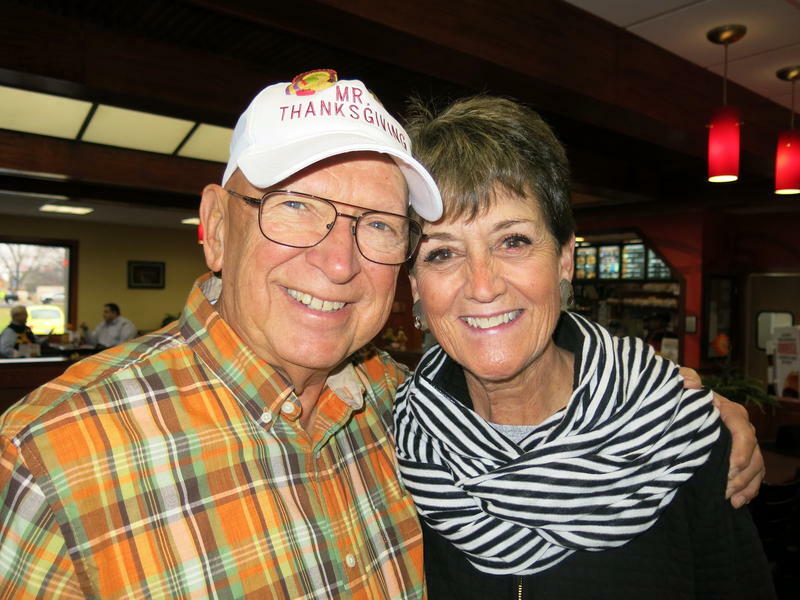 In 2010 (before WVIK News posted stories online), Michelle O'Neill produced the audio feature below about Mr. Thanksgiving's 40th annual turkey dinner.